I attempted to bring out the writing on the back of the photo but am still unable to read it. Photos from Ethel Simmons Hennesy collection. 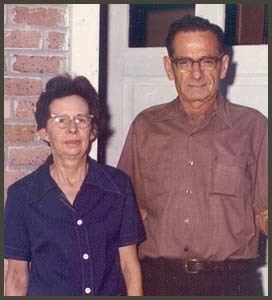 Ezra “Jodi” SIMMONS, 2nd son of Lucius Theodore SIMMONS and Annie (Knight) SIMMONS , was born 8 Feb 1913 at Washington Parish, LA. 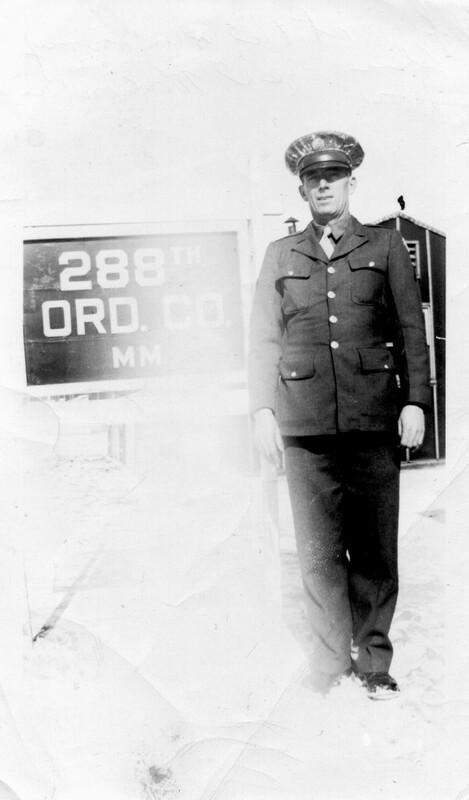 Ezra served in WWII. He was in the 509th Parachute Infantry Batallion, which was the first American Unit to parachute into combat in Nov. 42. 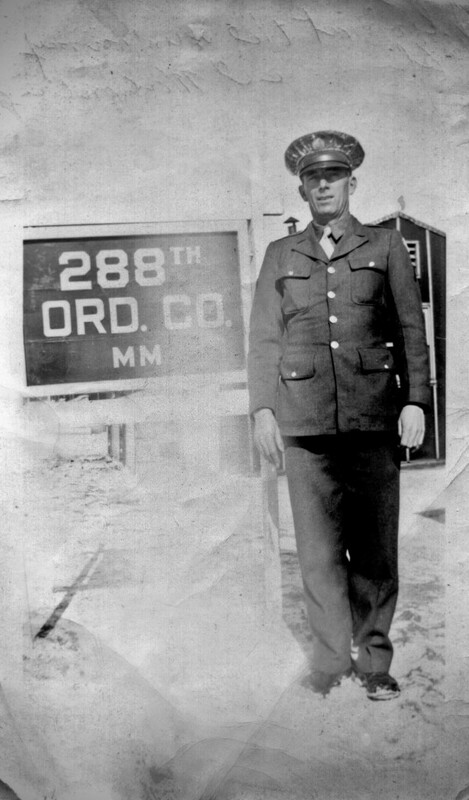 On Feb 29 19– he was taken prisoner and was a POW at the infamous Stalag 2B, where treatment was worse than at any other camp in Germany. 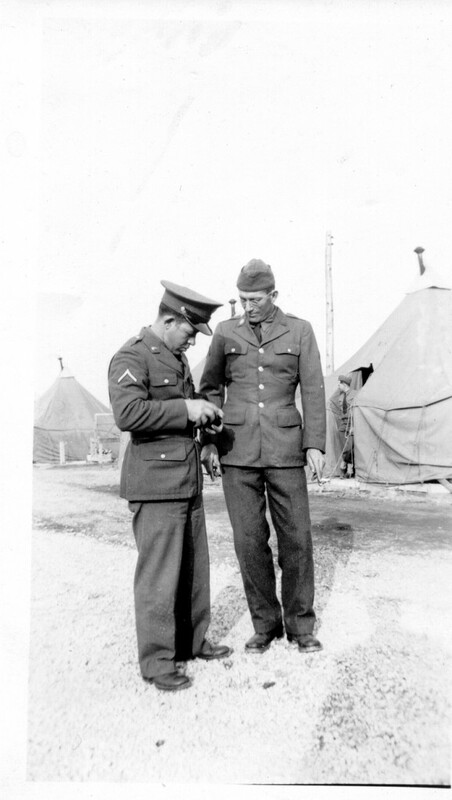 EVACUATION & LIBERATION: On 28 January 1945, POW received German instructions to be ready to evacuate camp at 0800 hours the following morning. Upon receipt of these instructions, the MOC set up a plan of organization based on 25-man groups and 200 man companies with NCOs in charge. On the day of the evacuation, however, POW were moved out of camp in such a manner that the original plan was (of) little assistance. German guards ordered POW to fall out of the barracks. When 1200 men had assembled on the road, the remaining 500 were allowed to stay in the barracks. A disorganized column of 1200 marched out into the cold and snow. The guards were considerate, and Red Cross food was available. After the first day, the column was broken down into three groups of 400 men each, with NCOs in charge of each group. For the next three months, the column was on the move, marching an average of 22 kilometers a day 6 days a week. German rations were neither regular nor adequate. 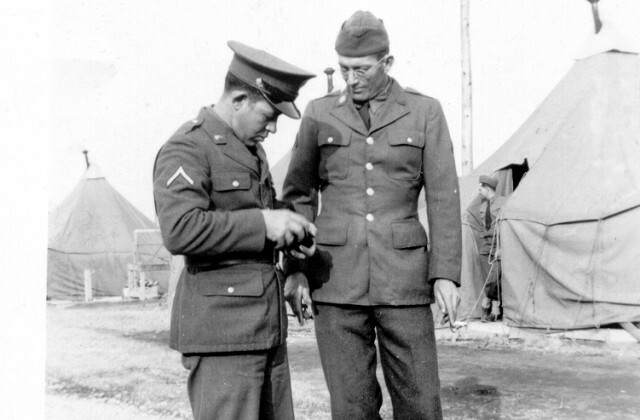 At almost every stop Sgt McMahan bartered coffee, cigarettes or chocolate for potatoes which he issued to the men. Bread the most important item, was not issued regularly. When it was needed most it was never available. The soup was, as a rule, typical, watery German soup, but several times POW got a good, thick dried-pea soup. Through the activity of some of the key NCO’s, Red Cross food was obtained from POW camps passed; by the column on the march. Without it, it is doubtful that the majority of men could have finished the march. The ability of the men to steal helped a lot. The weather was atrocious. It always seemed to be either bitter cold or raining or snowing. Quarters were usually unheated barns and stables. Sometimes they slept unsheltered on the ground; and sometimes they were fortunate enough to find a heated barn. 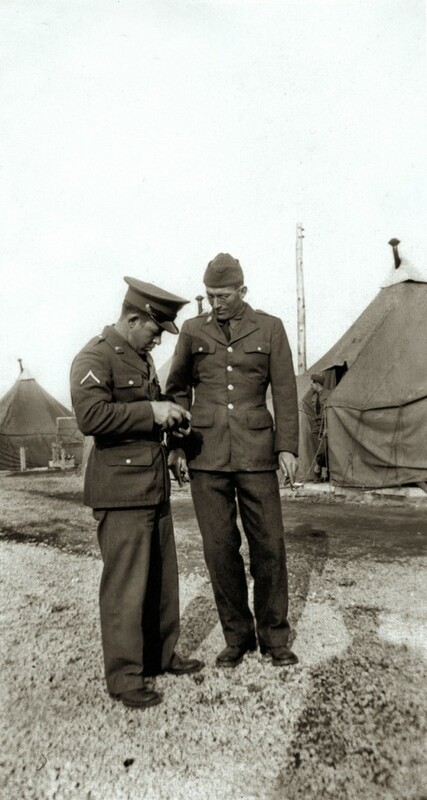 Except for one period when Red Cross food was exhausted and guards became surly, morale of the men remained at a high level. Practically all the men shaved at every opportunity and kept their appearance as neat as possible under the circumstances. From time to time weak POW would drop out of the column and wait to be picked up by other columns which were on the move. Thus at Dahlen on 6 & 7 March, the column dwindled to some 900 American POW. On 19 March at Tramm, 800 men were sent to work on Kommandos, leaving only 133 POW who were joined a week later by the Large Kommando Company from Lauenberg. On 13 April the column was strafed by 4 Spitfires near Dannenberg. Ten POW were killed. The rest of the column proceeded to Marlag 10C, Westertimke, where they met the men they had left behind at Stalag IIB who had left on 18 February, reached Stalag 10B after an easy 3 day trip, and then moved adjacent Marlag 10C on 16 April. Westertimke was liberated by the British on 28 April 1945. Ezra received a Purple Heart. He did not discuss his time as a POW, at least not with his family, and suffered for years with PTSD. 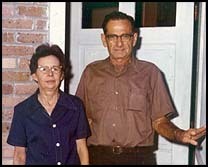 He married a nurse, Juanita CRAIN, and settled down to fishing and alligator trapping in the bayou. Juanita and Ezra had one child, Charles William Simmons, born 1946 Dec 20, who tragically died in Oct of 1965 in a work related accident. Ezra is described as the fun uncle by nephews (sons of Jean Kearns) who visited him. Provided by David R. BERRY at the Genforum WWII Genealogy Forum, 23 Feb 2004. The below photos of Ezra and his wife would have been taken at the time of a Hennesy reunion held in the 1970s. This was my Mother’s brother. Uncle Jodi! He is buried in Sheridan, LA! He was in the 82nd Airborne in WW2, and spent, I think, 17 months in the infamous POW Camp, Stalag 2B in Hammerstein!